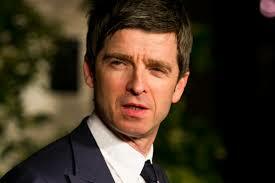 During his interview with Q magazine Noel Gallagher talked about Coldplay and Radiohead’s new albums. He said “I’m fascinated to see how Coldplay react to what U2 did (giving their album away via iTunes). I’m expecting to wake up in the middle of the night and Chris Martin is stood there, burrowing into my brain with his new CD going ‘You don’t even have to go into iTunes, mate, it’s already in you’re f**king mind’. It’ll be interesting to see the fawning response from the media to Radiohead making the same album again”. During the same interview, he talked about some tracks of his new album ‘Chasing Yesterday’, Beady Eye split and he suggested Liam should make a solo record. Here you can find what he said about it.